AGAIN, LUCKIEST BLOGGER OUT THERE! 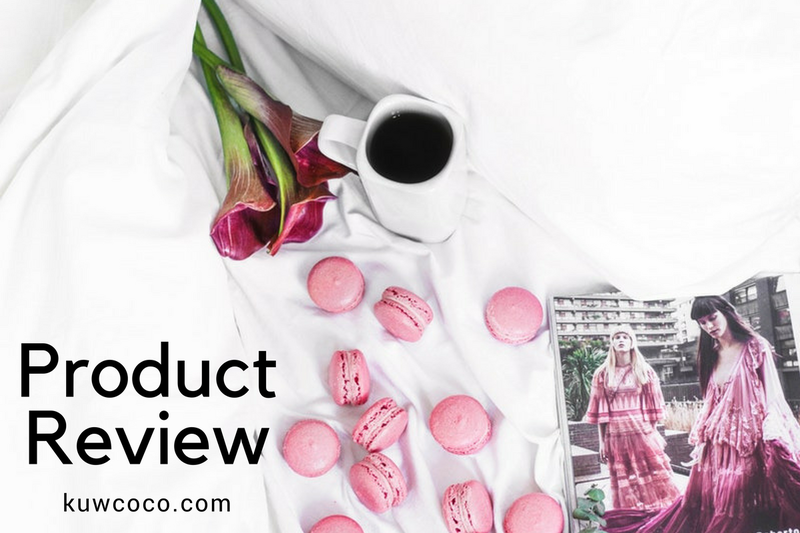 I got to review bath bombs and soaps like pardon, how is this my life? Sitting in a nice hot bath after a long night and reviewing a bath bomb and thinking about it and touching it and then just relaxing. WHAAAAT! Pacha Soap sent me three bath bombs, which they call “froth bombs” and a clarifying charcoal soap bar! 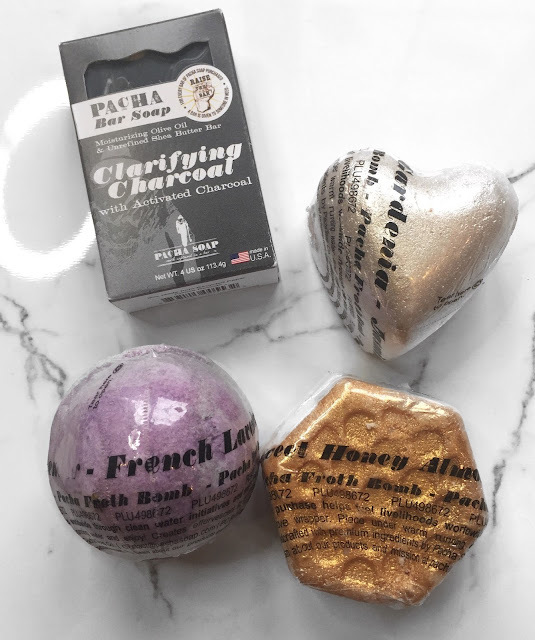 The froth bombs I received from Pacha were the French Lavender, Jasmine Gardenia and the Sweet Honey Almond! I am so biased when it comes to anything honey and or almond flavored so that was a clear favorite for me. I also want to mention I 99.9999% of the time hate lavender; and I absolutely loved the French lavender froth bomb! The smell was so subtle but still had a distinct smell to it where you knew it was lavender but it was so great and made me super relaxed! I also am obsessed with flowery smelling things and the jasmine gardenia combination was absolute perfection and I don’t think they could have done this one or any of them any better! The best part in my opinion was that all of the bombs left no residue on my tub, didn’t leave it feeling slick or slippery and completely washed down the drain after I was done. I was concerned after seeing the glitter in the sweet honey almond and the jasmine gardenia but no trace was left, which is amazing. This is partially the reason I am not a huge fan of other bath bombs. I want to be able to take a bath, get out and live my life and not clean up or clean my body of glitter for 20 minutes after I got all relaxed. Also I totally want to mention the Lemon Drop & And Everything Nice bath froths are both on my wish list right now! I also fell in love with the ClarifyingCharcoal Soap Bar! It has been a go to for me and I am actually almost done with the bar. Its been a new addition to my morning routine, what I will actually do is lather it up in my hands, dot it around my face and use my Clarisonic on top of it. It is not drying at all and also has been really helpful for my combo/oily skin this time of year! And unlike a bunch of other bar soaps this one truly lathers and leaves you feeling completely clean. To sum things up for you, YOU NEED PACHA SOAP IN YOUR LIFE! If you are a bath bomb beauty, you must try the Pacha Bath Froths, if you have skin on your face you must try the Clarifying Charcoal Soap Bar. Basically, just try it. I can assure you that you will fall in love with these products.